Tree roots are fascinating to me. How do they hold onto the ground? It is just dirt! Most my thoughts of dirt revolve around gardening, potting soil, puling weeds out of the ground, dirt falling through my fingers, and well… mud! None of these aspects of dirt appear to me to be strong. 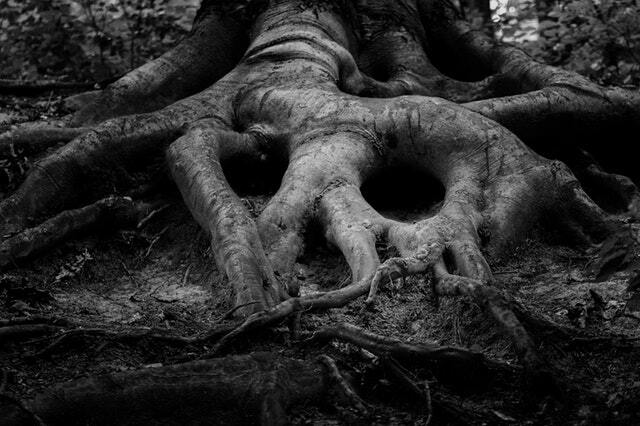 Yet trees, with their roots, literally grab a hold of dirt and use it to stand as an impenetrable pillar in the sky. Only the strongest weather pulls them out of their God given place in the earth. If simple dirt keeps a tree strong and steady, is there a simple thing for us to hold onto? What is our dirt? What keeps us strong? What does roots going down deep look like for us? A verse Tim used recently at Kingdom Life for our Discovery Bible Study was from Ephesians 3. Paul’s words are: “Your roots will grow down into God’s love and keep you strong.” The Passion Translation says: “the resting place of His love will become the very source and root of your life.” It is God’s love which keeps us strong and is the source of life. Our roots holding tightly to Him. Of course our simple “dirt” is the love of God. What else could it be? Trust is the key to receiving love. What relationship can last without trust? How can you go deep with someone if you are always questioning their motives, or their heart, or their commitment to you? Trust is the key to going deep. Trusting God is good, and He has good for us. Then fully being surrounded by His love, is what will hold us in the deep place. We must allow ourselves to ask the question, where I am not trusting God, and what is the truth? What am I believing which keeps me from believing what is true about God? Then, how do we immerse ourselves in trust?